I worked for over 20 years as a physiotherapist in various rehabilitation settings treating mostly people following stroke. Many patients were discharged from therapy with poor recovery and left to live their lives with significant disability. Unfortunately it is those with the greatest physical impairments that have the fewest options for therapy. It is clear that we need to find ways to improve the ability of these people to engage in rehabilitation. It is this inadequacy of current practices that drives my research of emerging technologies. My goal is to discover new tools or methods of rehabilitation that can be used to improve the rehabilitation of people with neurological conditions, in particularly stroke. I am hopeful, that through advances in science and technology, we will be able to facilitate increased participation in therapy and contribute to reducing the number of people living with severe disability. 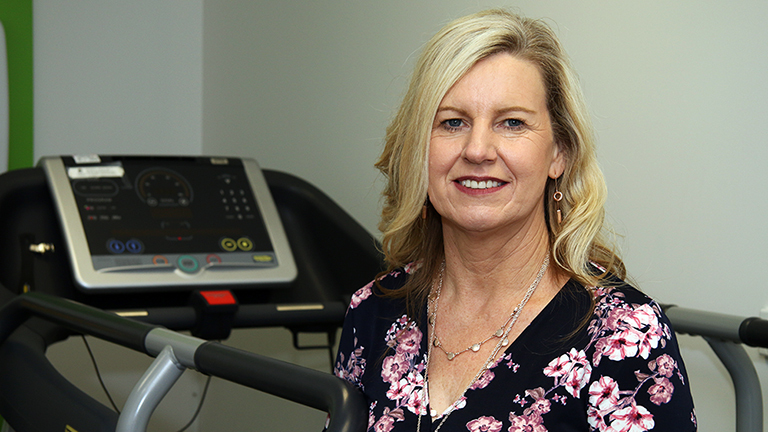 Dr Jodie Marquez graduated as a Physiotherapist in 1991 and gained over 20 years of clinical experience in a variety of rehabilitation settings in Australia and overseas. Since leaving a clinical role in 2010, she has been employed as a full time academic at the University of Newcastle. Dr Marquez completed her PhD in 2017 investigating the role of non-invasive electrical brain stimulation in modulating brain function to enhance stroke recovery. This led to the interest in other emerging technologies in rehabilitation such as robotics, in particularly the use of robotic exoskeletons to facilitate recovery in those with severe mobility deficits due to neurological disease. Her particular focus is in understanding physiological changes (detected by EEG or MRI) and then relating these to changes in functional performance and other patient/clinically relevant outcomes. Her research has revealed wide variations in those who do and don’t respond to different treatment paradigms, as well as discrepancies in the size of the treatment effect. Therefore, the development of patient selection criteria to assist the translation of emerging therapy techniques into clinical practice, and the tailoring of individual patient therapy, is a consideration central to her research. Improving the recovery of people with brain injury by optimizing their participation in therapy through individualised, patient-centred therapy options.